This very entertaining gambling memoir is the story of Beth Raymer, a young woman who relocated to Las Vegas with hopes of becoming a scriptwriter but then stumbled upon a bookie job in all its high-risk and dangerous glory. Lay the Favorite opens right away in Las Vegas and we are instantly introduced to Raymer, a Thai restaurant waitress. One of her customers refers her for a job at Dink Inc., where Raymer meets the owner and boss, genius and mathematical mastermind Dink, and is immediately thrown into the bookie lifestyle. Beth is drawn into the glamorous life a bookie leads as she starts to make buco bucks and even embarks on "field trips" to locales such as San Diego and Costa Rica for business. The book details the ups and downs and the mechanics behind the gambling world. 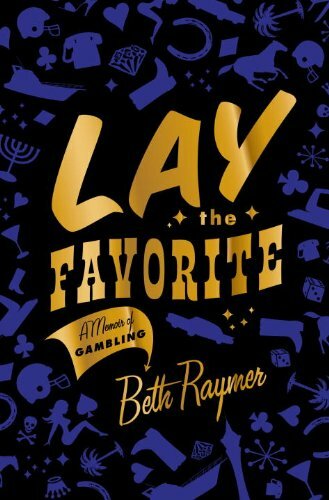 Lay the Favorite dives headfirst into the heart of Beth's story without any dim lulls in her upbringing and childhood as most memoirs tend to do. Beth is genuinely an interesting person with many colorful stories and we love to read about her as-is; sugar-coating her persona isn't necessary. The lure of underground gambling alone will attract readers and Beth definitely presents us with the nitty-gritty details. There is talk of Lay the Favorite becoming a movie as well, rumored to soon launch production with a release date in 2011 and directed by Stephen Frears. Lay the Favorite has a current release date of June 1, 2010 and can be pre-ordered before then.